Hi, I'm pet and house portrait artist Robin Zebley, thanks for stopping by! 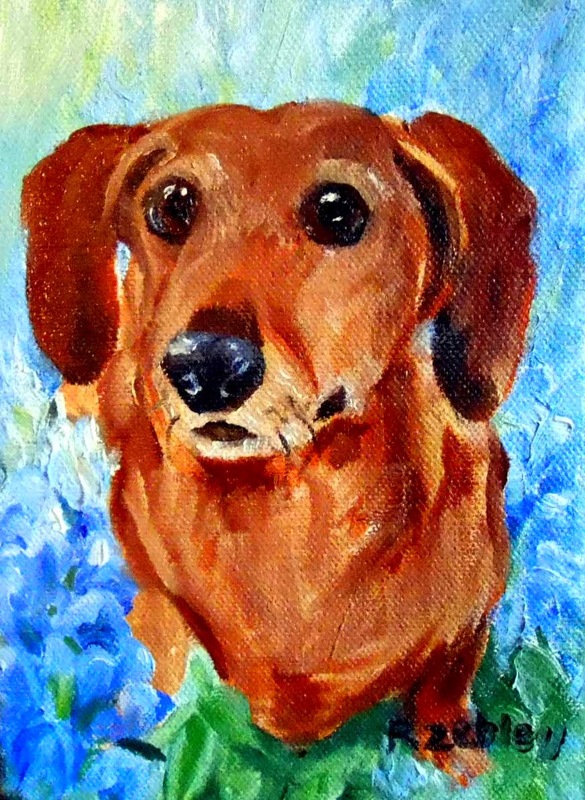 This little dachshund was a Texas cutie and a gift to his mom to remember him by. It's a little hard to paint bluebonnets and a Doxie since they are taller than they are, but I didn't want it to be a painting of bluebonnets that happened to have a dog in them anyway. Just kind of like to suggest the "setting" in my portraits. This painting is oil on canvas, 5" x 7". I do other sizes too.